as well as in religious ceremonies. Myrrh is famous for its powerful cleansing properties. Myrrh oil is also known to soothing the skin and believed to promote emotional balance and well-being. Myrrh encourages creativity and emotional balance, and is therefore traditionally used with meditation and other rituals. 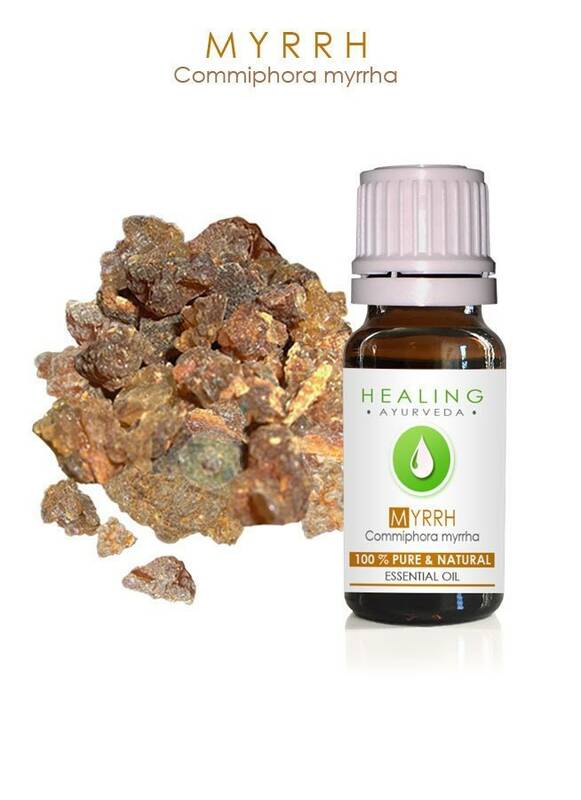 Myrrh oil soothes and calms the mind, promotes emotional balance and well-being. Myrrh is a valued ingredient in cosmetics and as incense burners for centuries. Myrrh oil is non-sensitizing, non-irritant but should not be used during pregnancy. To fulfil your order, you must provide us with certain information (which you authorized Etsy to provide us), such as your name, email address, postal address, payment information, and the details of the product that you’re ordering. You may also choose to provide us with additional personal information for custom order, if you contact us directly. •	Service providers. I engage certain trusted third parties to perform functions and provide services to our shop, such as delivery companies. We will share your personal information with these third parties, but only to the extent necessary to perform these services. •	For purposes of EU data protection law, We FairOrganic, the data controller of your personal information. If you have any questions or concerns, you may contact us at fairnorganic@xs4all.nl and ayurveda-healing@xs4all.nl. Alternately, you may also contact us through contact button on the top of page or "contact the shop: button. Please contact us for any custom orders or the items that are not listed individually or to make your own set. We are glad to make you a custom listing with the items you would like to receive and offer our best possible rate. Processing time: We ship within 24 hours . Orders received in weekends will be shipped on Monday. We do our utmost best to deliver as fast as possible in a cost effective manner (standard shipping). Should you prefer advanced shipping with track and trace, Please select at checkout. Standard post may take 1-2 weeks for delivery for outside EU, In any case if you have not received in 3 weeks please kindly contact us, we assure prompt action. For international returns from outside the EU, please mark your package as "RETURNED GOODS". I am pleased with my order. This item smells very woodsy, earthy. I like it very much. exactly what is described! <3 it! !